This mini baby Gingko post earring in 18k green gold is a basic earring for your everyday wardrobe. Meant to fit next to multiple piercings due to the size, and could be worn single or in both ears. 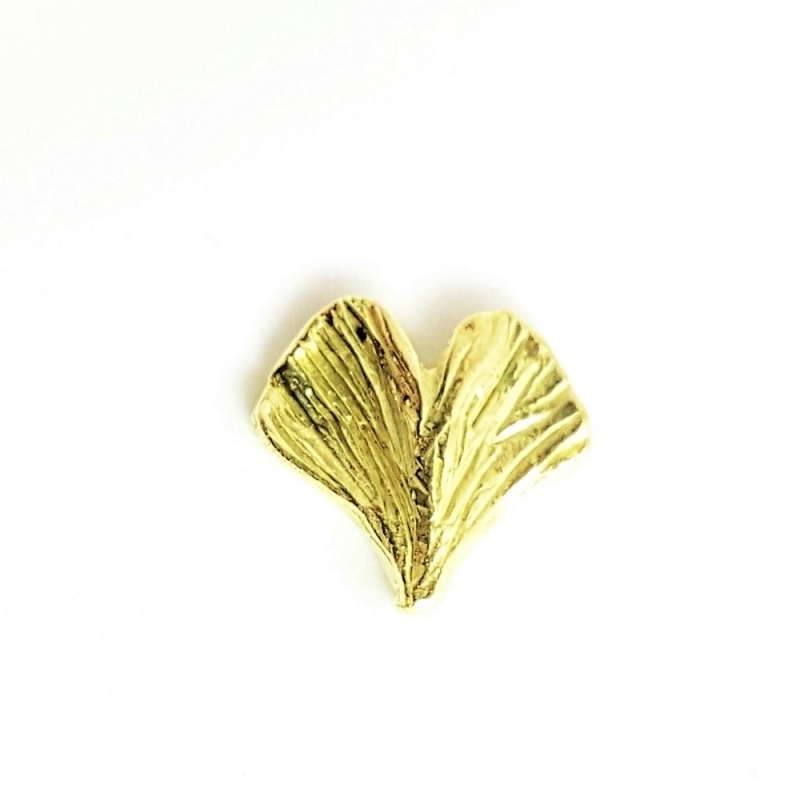 The textured Gingko leaf is sweet and for daily wear. Works well with other small earrings such as studs, small hoops, etc. The finish is satin/matte with high polished accents. Set on a post with a medium push-on back.